There’s no denying that the technology world is obsessed with fashion. Amazon, Apple and Google, three of the biggest names in tech, are all trying to carve their own path into the fashion space. 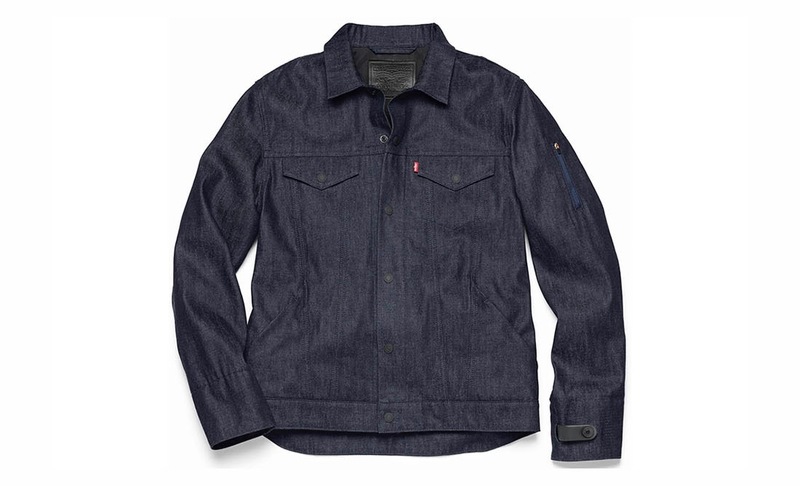 Apple’s doing so with fancy smartwatches; Amazon with a shopping platform and voice-controlled cameras; and Google with conductive fabrics embedded in a smart jacket made by Levi’s. And the interest is mutual. Fashion designer Karl Lagerfeld, Chanel’s creative director, has expressed his love for tech by experimenting with partially 3D-printed pieces and runway shows that simulate a rocket launch. He’s not the only one either. Zac Posen, with help from fashion house Marchesa, worked with IBM’s Watson supercomputer to create a cognitive dress that lights up and changes colors based on activity on social media. All of which is to say, the line between these two industries is blurring. Now more than ever, it feels like high-tech fashion is on the verge of being more than just a gimmick. In the not-too-distant future, you could even be 3D printing your own shoes or clothes at home. Instead of going to a store, you’ll buy designs straight from the designer. And we’re quickly heading toward a world in which “wearable” will be more than a fancy word for a smartphone accessory. Think about it: Your Apple Watch is basically a brick if you don’t have an iPhone paired with it. Three-dimensional printing has come a long way and is no longer just for prototyping. Sportswear giant Adidas, for example, is on the way to making 3D-printed shoes a consumer product as part of an effort known as Futurecraft, which began in 2015. Earlier this year, it teamed up with Silicon Valley startup Carbon 3D on a new manufacturing technique called digital light synthesis, which mixes light and oxygen with programmable liquid resins to create 3D objects in a matter of minutes. Adidas says this technology will allow it to 3D-print sneakers on a large scale; it’s planning to ship 100,000 pairs by the end of 2018. 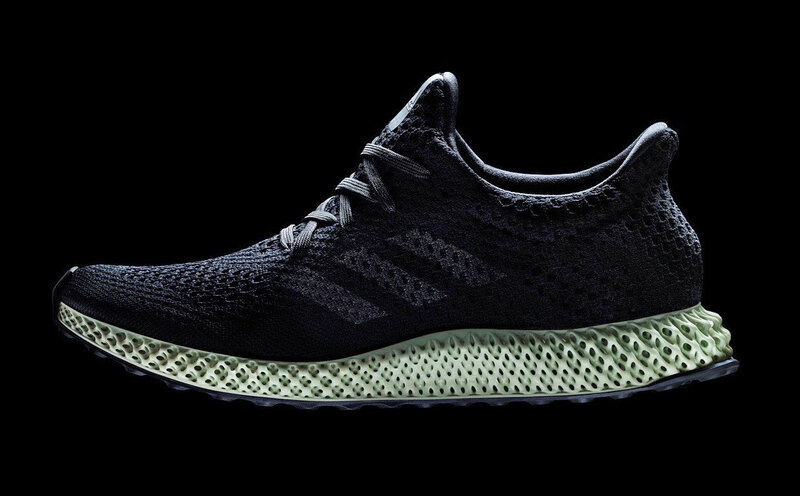 Adidas Futurecraft 4D.While 3D-printed shoes may at first sound like a gimmick, the reason Adidas is betting on the technology is its customization potential. Imagine being able to walk into a store, hop on a treadmill, have your foot measured to a T and get a pair made based on your results in less than 24 hours. This approach means the shoes would match your footprint elements, including contour details and precise pressure points — which, in turn, could give you the most amount of comfort. Sponsored athletes already benefit from this, because brands typically custom-make designs for them, but the idea is to expand the concept to every consumer. That’s the future Adidas imagines, one that’s also going to depend on the company’s Speedfactory, a manufacturing facility staffed by robots that can make products at a rapid pace and in high volumes. It’s an automated assembly line that’s straight out of a sci-fi film. Nike, on the other hand, has been busy with self-lacing shoes. What started as a project inspired by nostalgia for the Mag — a prop with power laces worn by Marty McFly (Michael J. Fox) in Back to the Future Part II — has turned into something with larger implications. The HyperAdapt 1.0, which features a self-lacing system dubbed E.A.R.L. (Electro Adaptive Reactive Lacing), is essentially the consumer version of Nike’s beloved Mag. The company says one of the reasons it created it is because athletes often complained about their shoes untying during workouts, and HyperAdapt solves that problem because it requires little to no effort when you’re putting it on. It’s a pricey solution, though — each pair costs $720. Still, just like high-definition TVs, they will in time go from being a luxury item to a run-of-the-mill commodity. While Nike isn’t pitching HyperAdapt or E.A.R.L specifically to people with disabilities (particularly those unable to tie their own shoes), there’s definitely potential there. Nike does have its Ease Challenge, a project that recruits outside designers and engineers to “advance and reinvent footwear design for athletes of all abilities.” This year, Nike awarded $50,000 to the designer of a shoe with a heel counter that acts as a small door for your feet, removing the need to tie laces or use a shoehorn. The winner, Brett Drake, will work with the brand to create a prototype of the design and perhaps eventually bring it to market.